Lord Vishnu is considered the preserver and protector of creation, in the Hindu Trinity of Gods – Lord Brahma, Lord Vishnu and Lord Shiva. Mahavishnu is known as the peace loving deity with his strong principles of order, righteousness and truth. When these values are under threat, Lord Vishnu emerges out of this transcendence to restore peace and order on earth. 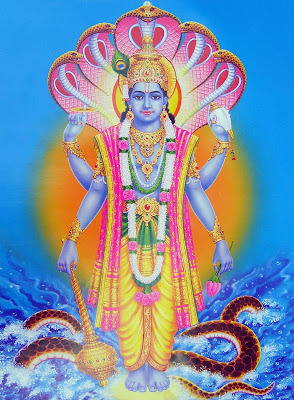 Lord Vishnu is known by various other names such as Venkateswara, Narayana, Padmanabha, Maha Vishnu, Balaji, Perumal, Vasudeva, Jagannatha, and Govinda. The Hindu Goddess of Good Fortune, Goddess Lakshmi is the consort or Lord Vishnu. Several popular Hindu Gods, such as Lord Ram, Lord Krishna, Lord Narasimha, and Lord Parashurama are regarded as the incarnations of Mahavishnu. Vishnu Sahasranama Stotram or the 1000 names of Lord Vishnu is the most widely chanted mantra associated with Mahavishnu. Hindu Devotional Blog has posted numerous mantras associated with Lord Vishnu. 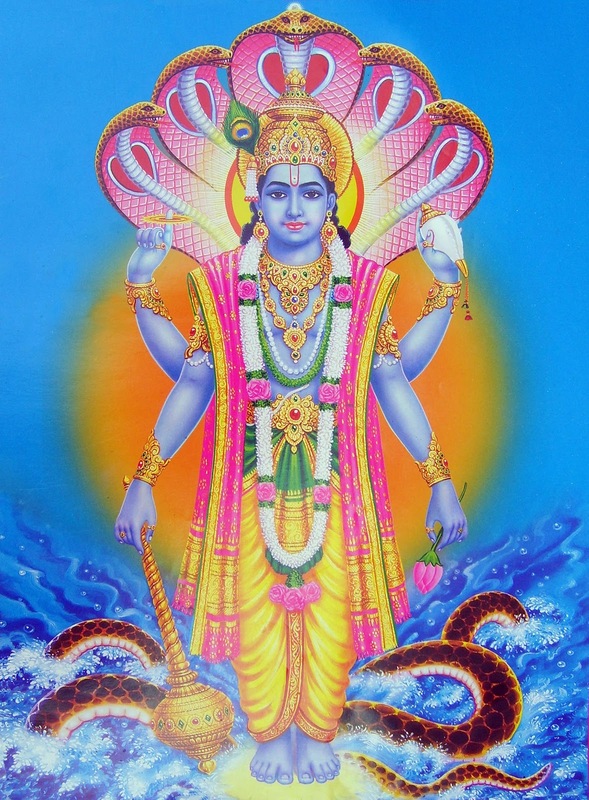 Search the site for Lord Vishnu Mantras and Stotras.